Clearly comfortable with Jazz, Classic R&B and Soul, even Reggae, she’s also known for her authentic electric Blues style. She has 4 independently released CDs to her credit and makes regular tours to Europe and the Caribbean, but recently made Toronto Canada her home. 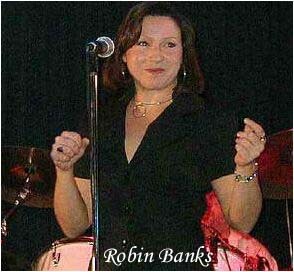 A master of tone and phrasing, ROBIN BANK$ has a vocal style, strength and clarity that has been compared to Etta James and Dinah Washington. She recently performed at Massey Hall in Toronto as part of the celebrated annual Women’s Blues Revue event. A new Robin Banks Cd is in the works as we speak. If you have info on local bands, visit our contact page. Robin BANKS was born in Chatham, Ontario on November 25th, 1963; she lived there until 1981, when she moved to Toronto to study jazz music at the well-renowned Humber College. She performed with many different bands while she lived there for over 10 years. 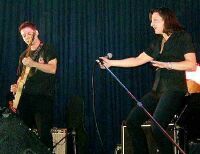 In 1991, she returned to Chatham and founded the Robin Bank$ Blues Band in 1992. 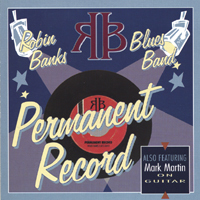 The Band delivered its very first CD, “Permanent Record”, in 1997. Every song on that album was written by Robin and Mark Martin, who was her husband at the time. She moved to Dallas, Texas in 1999, where a number of new musicians joined her band; Living Legend Sam Myers inspired her to produce her second CD, “Honestly”. Only 39 years young, she’s already received a bunch of prizes and rewards, (among many others the Mapleblues 1997 “Best Performing Artist of the Year” award), and she recently published her third CD entitled “After Dark”. She performs in the best known clubs and joints all over Texas, accompanied by her own band (Pat Boyack doing his thing on the lead guitar, Marc Wilson hurting the drums, Drew Allen yanking away on the base guitar, and “sweet” Sam Myers blowin’ his soul into the blues harp). When she comes to Belgium next year, some of the greatest blues musicians on the international blues scene will form a band just for the occasion to back her up. * Toronto Blues Society New Talent Search winners The Robin Banks Blues Band took Harbourfront Centre by storm during their showcase appearance at the Brigantine Room on July 20, as part of the Heineken Soul `n’ Blues Fest. Robin is one hot blues vocalist whose fame is spreading beyond her home in Chatham, and audiences in Toronto can expect to see more appearances by her and the band,which features Mark Martin on guitar, Tom MacGuigan on bass and Kevin Venney on drums. As winners they will receive a photo session with Denise Grant Photography, equipment rental from Steve’s Music, and studio time courtesy of The Studio at Puck’s Farm. 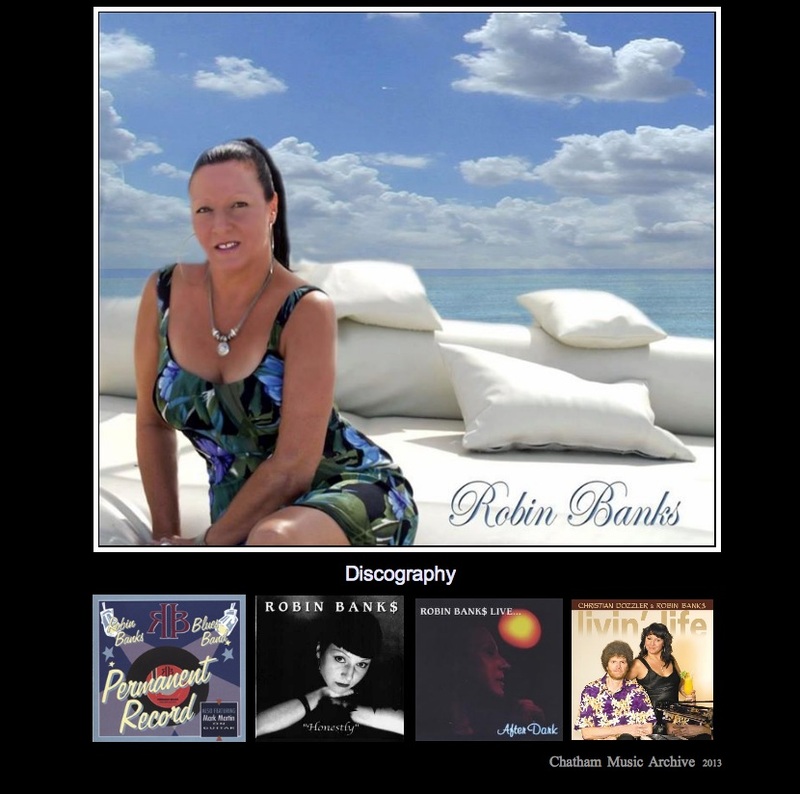 * Robin Banks has emerged quickly in the blues scene from her Chatham home base in South Western Ontario. The 1996 Finalist in the TBS New Talent Search, Robin and her partner, guitarist Mark Martin enjoyed the prize of a TBS sponsored slot in the Heineken Soul ‘n’ Blues Festival and a showcase at the annual TBS Women’s Blues Revue later that year. Robin’s climb up the popularity ladder has been further fueled by the release of Permanent Record, her debut CD. The Scoop : In the late 80’s & early 90’s, if you wanted to rock then you knew who Mitch & the boys were, & the Aberdeen was the place where it went down. 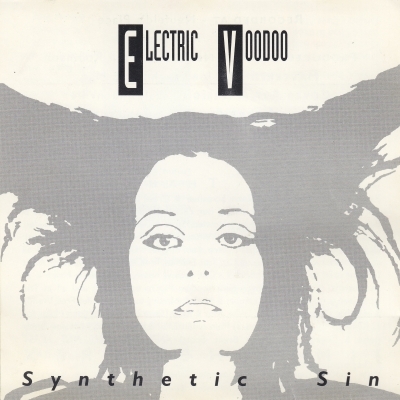 Electric Voodoo was the bar band at it’s best. A perfect Jimi Hendrix tribute with long, long open jams & lots of beer around. The CD contains some covers but it is the perfect gift to take home to remember these days. Guns & Roses & Glam bands ruled the day & Electric Voodoo became the instant home town party band, Not only for providing the best in entertainment, but also for being the nicest guys around. 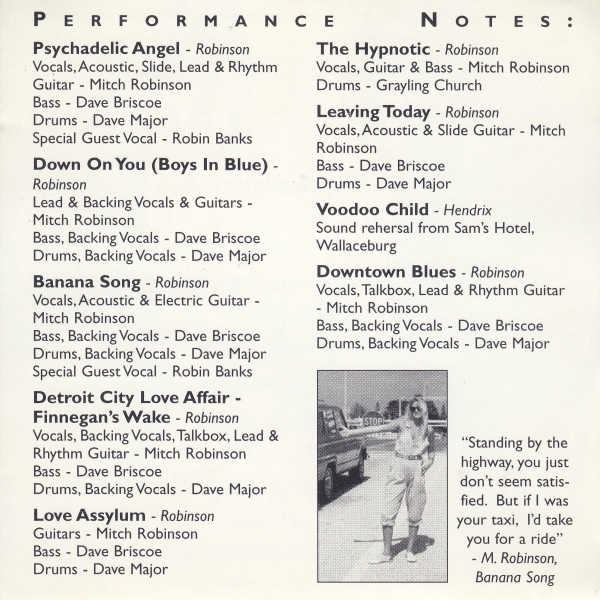 The CD was recorded by Rick Neufeld @ Sam’s Hotel In Wallaceburg.